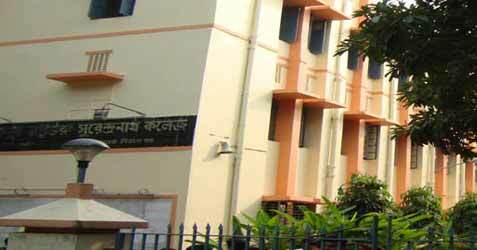 Barrackpore Rastraguru Surendranath College, founded in 1953, is a UGC registered College [under 2f] & accredited by NAAC. A group of dedicated men, led by Dr. Satish Bose, a noted social worker, took the initiative in establishing this institution on 19 Sept. 1953 and named it after one of the most illustrious sons of Barrackpore and India. The institution initially functioned from DebiprasadHigh School and in 1954 was shifted to 6 Riverside Road as an institution affiliated to the University of Calcutta. In 1969, the college bought a plot of land at 85 Middle Road for further expansion. From the session 2008-09, the college will be affiliated to the West Bengal State University,Barasat, 24 Pgs(N) as per government Gazette. Over the years the college has consolidated its position as a premier institution in the state of West Bengal imparting learning in diverse areas of Humanities, Commerce and Basic Sciences. Emerging Subjects in the field of Applied Sciences such as Computer Science, Electronic Science, Micro-Biology, Psychology, Food & Nutrition are given due emphasis. Bachelor of Business Administration (introduced in 2002), a professional management degree course that teaches the art and science of corporate governance aims at producing junior management executives for tomorrow’s corporate world.